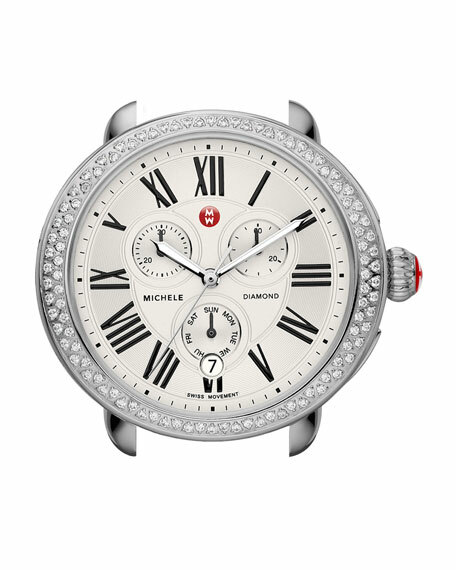 MICHELE Serein Style offers gentle curves and polished perfection with a hand-set diamond bezel and chronograph dial. 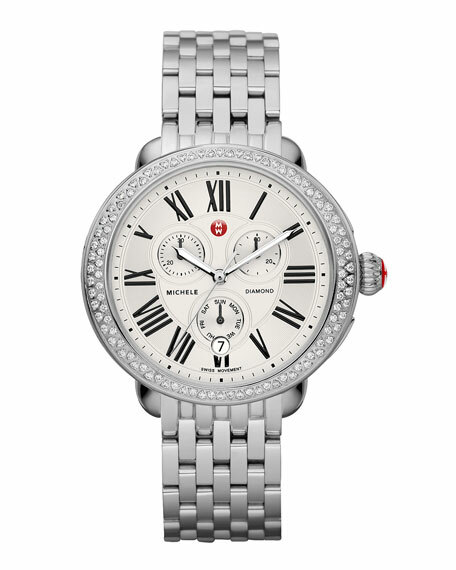 Stainless steel case, 40mm x 38mm (approx. 1 3/5" x 1 1/2"). 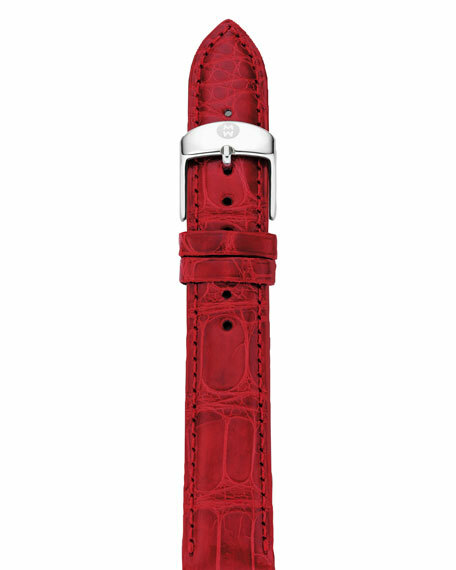 Adorned with 100 single-cut pave diamonds; 0.60 total carat weight. 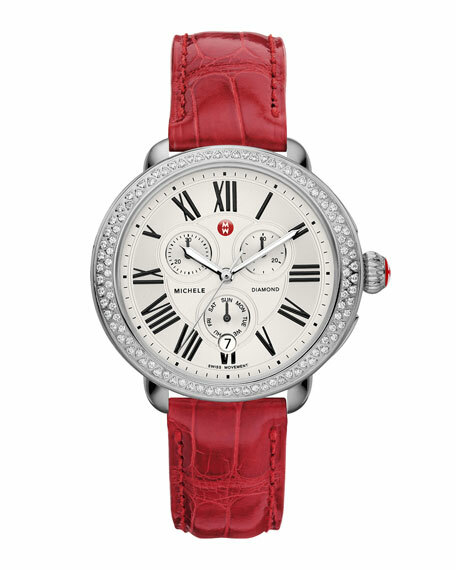 Sub-dial measures seconds, minutes, and days.